British Telecom are planning to open new telephone kiosk ATMs on Portobello and Golborne Road Market. 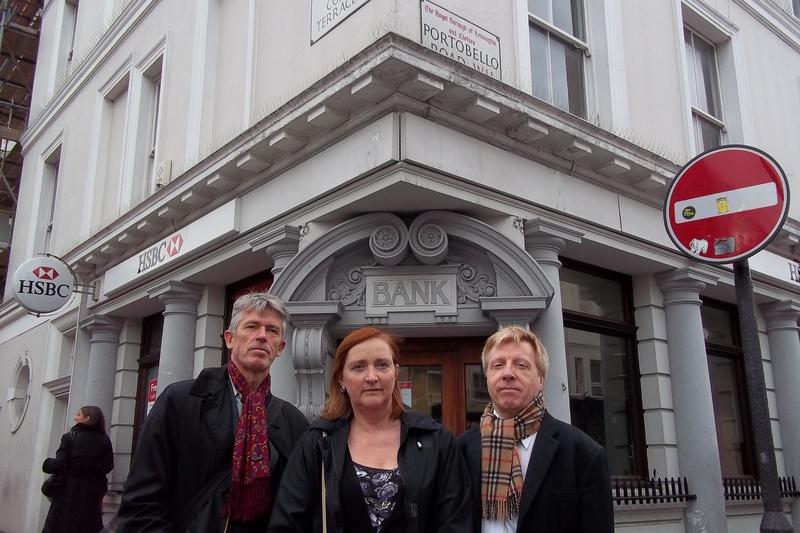 Following the closure of the HSBC Bank and their ATMs in Portobello Road last December that was bitterly opposed by Councillors, market traders, shops and local residents, North Kensington Labour Councillors worked hard to have the lost ATMs replaced. Colville Councillor, Dez O’Neill, has worked with HSBC, the Council and several local property owners to find alternative ATM sites. And Golborne Councillor Pat Mason contacted other banks and providers including British Telecom who operate the public telephone boxes on our streets. The HSBC ATMs were used every weekend by thousands of visitors to the Portobello and Golborne Market. These visitors often needed cash for small sales it was not financially viable for traders to make by credit card. And Golborne Road visitors and traders have long complained that there is no bank and ATM facility there. This week, British Telecom made planning applications to RBKC to replace their existing telephone boxes at Talbot Road and Golborne Road with new models that will include an ATM service. Colville Councillor Dez O’Neill said, “This is welcome news since cash machines assist visitors to spend their money on Portobello and Golborne Market, and are very important for the local economy”. Golborne Councillor Pat Mason said, “Visitors now have less money to spend because of the recession, and if putting these new ATMs on the market helps them to spend more, then that will be a good thing”. Welcome to Kensington Labour Party's campaign website. From here you can find out all about your local Labour team in Kensington, which areas they represent and how to contact them. For more information about Kensington Labour and our campaigns, to ask for advice or to offer help, email us at kensingtonlabour@gmail.com, or via the link below. Click here for weekly emails and information on campaigning.